This guide focuses on the steps to export to ADP RUN. 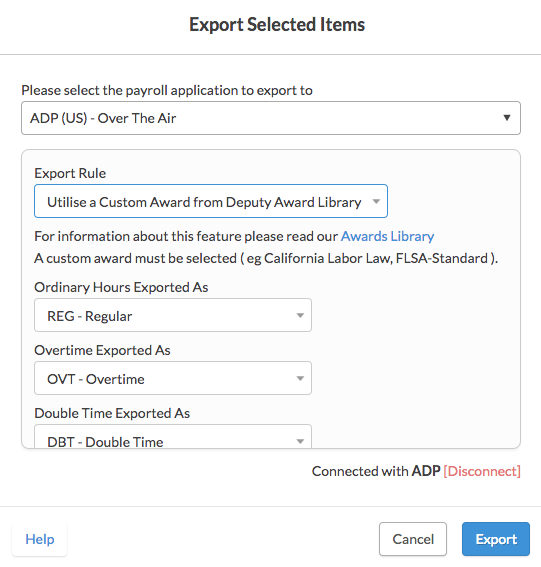 This article looks at the method of using Deputy to export to ADP RUN. *Please note that we can only export timesheet hours for 1099 CONTRACTORS if the account only contains 1099 CONTRACTORS. We do not export timesheet hours for 1099 CONTRACTORS if the account also has W2 employees. Use the location selector in the top left corner to choose a specific location to export, or all locations. Use the date selector to match the export dates in Deputy with your Pay Frequency Period start and end dates (find these in ADP Run under Company->Pay Frequency). If the dates above do not match, you will not be able to export. If you are exporting for multiple Pay Frequencies in ADP Run, export only the employees associated with a given Frequency. 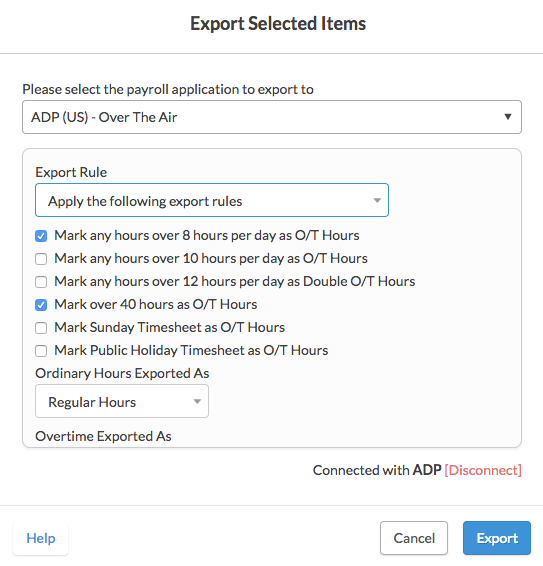 Each unique Pay Frequency must be exported separately, and between exporting different Frequencies you will need to finalize the export in ADP as shown in Step 3. 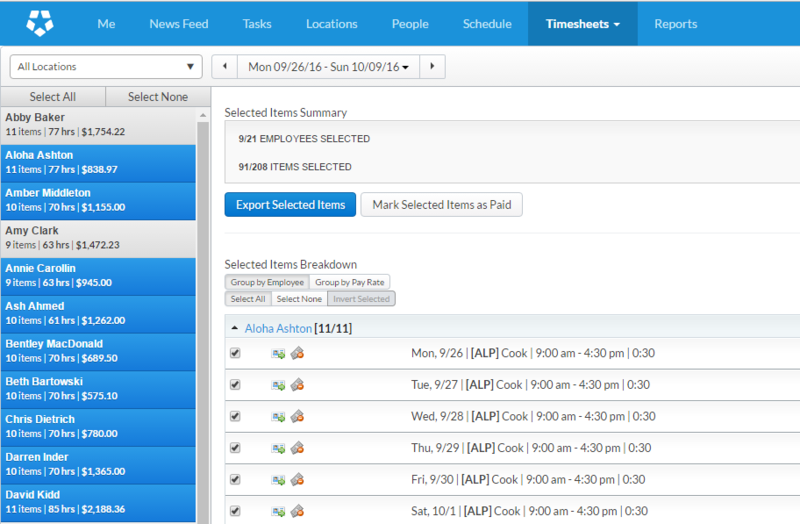 In ADP, go to your Home page and click Time Sheet Import. On the following screen you will be asked to select the pay frequency you exported for. Please click it. After selecting the Frequency, you will see the hours appear. First, verify the hours are correct. You will see them assigned to the departments assuming you set them as explained above. Leave hours from Deputy will always appear as Unassigned. After verifying the hours, click "Accept Import Only" on the lower left. This will allow you to make any changes you need to. Finally, click "Approve" on the lower right corner in ADP. Please note, after clicking Approve you will not be able to revert this import.